In the 1st call the total of 76 applications were submitted, the evaluation process is in progress. 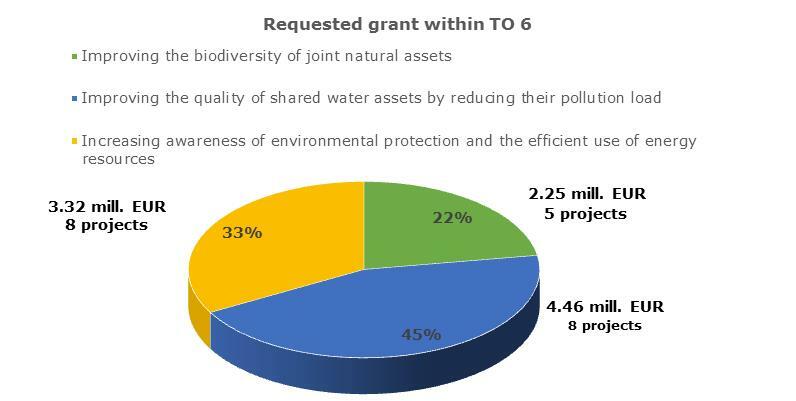 TO6 Environmental protection, climate change mitigation and adaption – 21 project proposals. 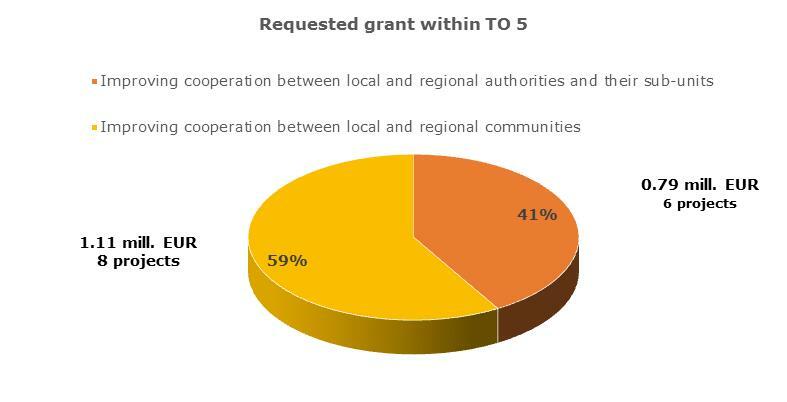 Project applications of the 1st Call for proposals are evaluated in several stages by the Joint Technical Secretariat and Selection Committee under supervision of the Managing Authority. Final decision on assessment results are taken by the Joint Monitoring Committee (JMC) of the Programme. Administrative eligibility check of submitted Project Summary Forms (PSFs) was completed in the end of June 2017 and followed by quality assessment started at the first meeting of the Selection Committee of the Estonia-Russia Cross Border Cooperation Programme 2014-2020 on 5-6 July 2017, in Pskov, Russia. Results of evaluation of submitted PSFs are expected to be announced in October 2017. The Managing Authority will send a decision to Applicant whether the PSF is recommended or not-recommended by the JMC to submit the Full Application Form. 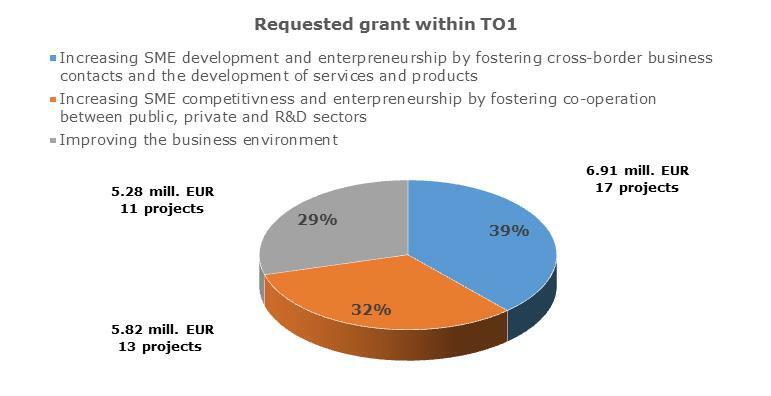 The overall available amount of funds available for the 1st Call for Proposals is 10 million EUR. We thank all Applicants and partners for active participation!